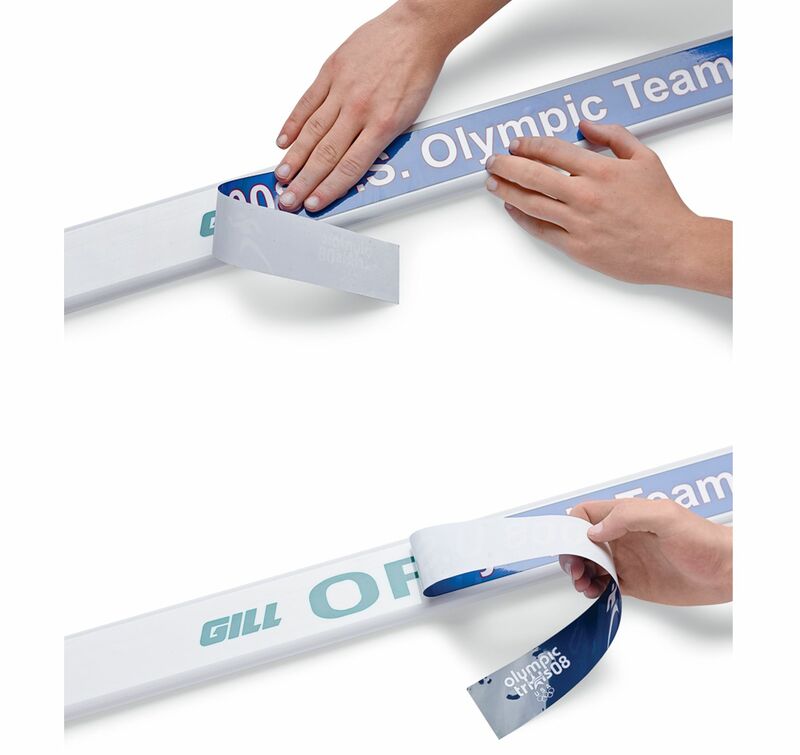 Customize your hurdle boards with a full color graphic of your choice. Labels are printed on high quality repositionable vinyl with UV fade resistant inks for a longer life span. Great for special events or as a full color alternative to traditional gate board screens. These labels can be applied permanently or temporarily for a special meet and, if stored correctly, reused year after year. Minimum order per design is 5. Printable space is 2” x 22” for the 41” label and 2” x 28” for the 47” label. High resolution artwork must be provided.